So today’s bag spy comes courtesy of a good friend called Abi who by the way has the most amazingly clear, glowy and completely even toned/blemish free skin! 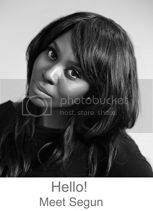 All I can say is that if she wasn’t a friend – she would be one of those girls that you love to hate!!!. Only kidding Abi – you know I love you. What I also love about Abi is that she is really into skin and she doesn’t just care about products that can help to enhance your best features. Instead she really cares about taking care of your skin believing the philosophy that if you take care of your skin it takes care of you – and when my skin went through its bad phase a few years ago she swooped in to help with tips and info. Anyway I have spent many a time in years past sneaking into her beauty collection to hopefully pick up a crumb or two so it only made sense for her to share her bag spy with us… so here it is. Thanks Abi. So my name is Abi and I’m a skinomaniac - basically am obsessed with skin, mainly mine. It is one of the most beautiful but overlooked asset we have. Many of us spend a lot of time and money covering it up rather than helping it to breathe and glow. Changing your facial personality with make up is great but grooming your skin so it becomes naturally flawless beats any product or tip. Since I go on about skin a bit, made sense for me to do a beauty bag spy! Everyone's skin is different, but don't let that stop you trying out new products. Just make sure you listen to your skin. Trust it to let you know when something isn't working, no matter how good it sounds or how many rave reviews it gets! If it burns, stings or irritates - don't believe the hype beauty shouldn't be painful. If you are trying out a new product - keep the receipt; if you have an allergic reaction just take it back for an exchange or refund. I use loads and loads and loads of moisture in my facial care and Liz Earle cleanse and polish is perfect for hydrating my skin and leaving it baby soft to touch. With cocoa butter, eucalyptus oil and chamomile - it is a lovely drink of natural products in a bottle for your face. Chemical filled toners usually strip and irritate my skin. This mist has essence of rosewater and aloe to soothe and give a refreshing blast of moisture to tired looking skin. Very refreshing and much needed in the dry recycled air on the tube! Also use Avene Thermal Spring water as an affordable alternative. It is a great in flight boost for dry or irritated skin. When I first heard of the amazing qualities of the Dr Nick Lowe range, I just thought Boots was trying to charge designer prices for cheap pretty packaged products. But now, I am a convert to his super charged SP15 day cream. It is really rich you only need a little bit (trust me, just a teeny bit) on your face to deliver super charged moisture and protection. It adds instant radiance to the skin and is the first face cream I have used and felt 'safe' walking out of house without make up. So you know I mentioned that am a skinomaniac - the downside to being fanatical about skin is that am also careful about what I use as facial care. Don’t use products just because the TV or magazine told me to except the benefits are obvious. So I had heard good things above AA but hesitated to try it. A few months ago, decided to take the plunge with their support supersensitive facial oil. My verdict - this oil is BEAUTIFUL! Gentle and an awesome instant facial treatment packed with natural products, it can even be used on 3 months old babies and older. Love love love it. Has loads of awesome qualities and is nearly all organic. Only use it once a fortnight but it has helped to keep my skin tone even. Absolutely love their facials, tried it out in Devon recently and my skin looked so relaxed-it almost purred! My recommendation with facials is find products and a therapist that works best for you. Have a treat facial once a month or ever quarter - however many times you like and your face would thank you. Have to give a shout out to Espa detoxifying salt scrub. Helped myself to a large scoop of the test sample and my body felt so smooth and lovely afterwards. 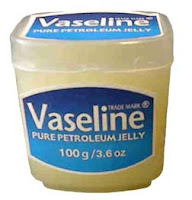 Last but certainly not the least - Vaseline: as lip balm, with broken vanilla pods as cheap fragranced body lotion, to thicken up light body lotions, as emergency make up removal, used to glam up boring eyeshadow, as hair gel, to slick down unruly eyebrows the list is endless! My mother, like many African mothers used it as a fix all for everything skin related. Vaseline rocks and is my number one product! Prescriptives magic illuminating liquid potion deep translucent. Every woman's magic potion and concealer -it hides and makes your skin glow. Shu Uemura face architect smoothing fluid foundation - glides on effortlessly and give great coverage, Comes in a range of colours for darker skin and doesn't need to be applied with a brush, fingers are fine! BLUSH.beauty face sculpting bronzer - The blusher from the newest fabulous make-up brand around (Blush.beauty) is all you need to sculpt your face bringing out your cheekbones and make your eyes pop! Thanks again Abi - Wow, am I the only one who is alreay thinking I need everything on this post? ?....sigh...now I need to go and hide my wallet again!!!. What a great post, you have very sophisticated taste in skincare Abi! Great tip about mixing vanilla pods with Vaseline, I have never heard that before. Thanks Laura! Think you have convinced me to try out By Terry, wasn't too sure about them. PS am also really jealous of your career.